(ii) The plants are equipped with the latest machinery and equipment, In-house testing facilities and qualified engineers, which help in maintaining quality standards as well as an efficient delivery record with appropriate warranty. All raw‐ materials and consumables are tested at various stages in the manufacturing process as per stipulated standards to ensure good quality products which are test certified. The Company products are type tested & approved by various NABL Accredited laboratories like IDTL, NSIC & NTH Corporation and are supplied as per the Indian Market Specification. b) GI STAY WIRE- Application: Electricity Board distribution purpose. 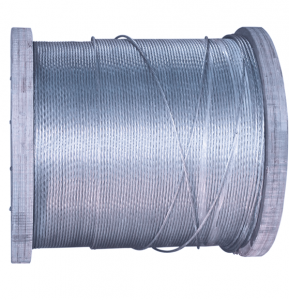 d) A.C.S.R CORE WIRE- Application: Core wire for the aluminum conductor. 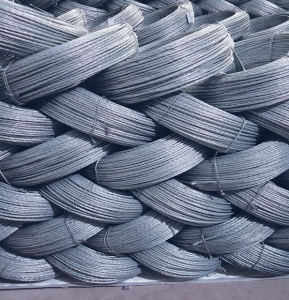 e) COTTON BALING WIRE- Application: Cotton baling industry. and many more such products which are used in different industries. 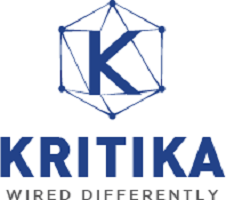 Promoters of Kritika Wires Limited Company are: (i) Mr. Naresh Kumar Agarwal- Mr. Naresh Kumar Agarwal is the Chairman and Whole Time Director of our company. He is Bachelor of Commerce and has around 35 years of experience in the field of trading and manufacturing of welding electrodes and steel wire manufacturing. (ii) Mr. Hanuman Prasad Agarwal- Mr. Hanuman Prasad Agarwal is the Managing Director of our company. He is Bachelor of Commerce. He has a vast work experience of 30 years in the field of welding electrodes and accessories manufacturing. He has been guiding the Company to achieve operational efficiencies and has good administrative power. The valuation at P/E of 8.64 looks fairly priced as compared to its peers Geekay Wires Ltd and Ram Ratna Wires Ltd which are trading at P/E of 33 and 13 respectively. I find DP wires which is already listed and available below issue price much better than this company .also DP wires debt is too low compared to this one. It is avoid for me as already a listed company iin secondary market and which have utilized public money is available at good prices. The company is labour intensive and working capital requirement is always high in this kind of business and same was mentioned by the company in the RHP. So let us see how the company fairs up in the two most important Liquidity parameter ( Quick ratio and Current ratio). Ideally, Current Ratio >1.5 and Quick ratio >1 is desirable to meet short-term liability. Conclusion: In the last 3 years the company is not maintaining a healthy liquidity ratio. It is vital that a company have enough cash on hand to meet accounts payable, interest expenses and other bills when they become due.The higher the ratio, the more financially secure a company is in the short term. The Location of the two manufacturing units are in West Bengal and the company is a labor intensive and working depend on the availability of labor. We all know that West-Bengal state is always remains a politically and union/association driven. The chances of labor unrest are always high in this state. (i) Any company which takes the benefits of customs duty on import of items have to fulfill export obligation else Govt may impose fine. 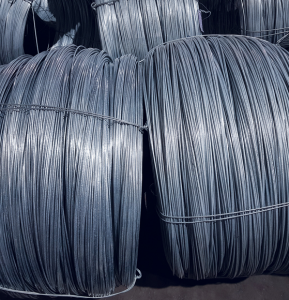 (ii) The Kritika Wires in the year 2013-2015 availed the benefit of non payment of custom duty without fulfilling the Export obligation against the import of “Hot-rolled alloy steel wires rods in colls” because of which the Settlement commission has also imposed a fine of Rs. 12,00,000/- on the company, Rs 25,000/- each on the directors,Mr. Naresh Kumar Agarwal, Mr. Sanjeev Binani and Rs 1,20,000 on Mr. Hanuman Prasad Agarwal, for alleged violation of law. 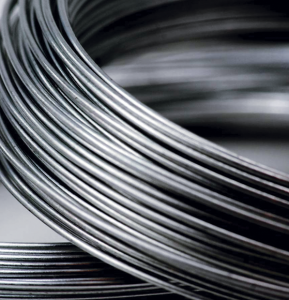 (i) Steel Rods used for manufacturing steel wire and Zinc bars used for galvanizing the steel wires are the main raw material used by the company in the manufacturing process. (ii) These raw materials are subject to supply disruptions and are very volatile due to price fluctuations resulting from, domestic and foreign trade policies, shifts in supply and demand, competition and other factors beyond company control. (iii) Prices of Steel are connected with commodity markets globally and steel index which is quoted in U.S. Dollars. Conclusion: The valuation is fairly priced as compared to its peers.